For over a decade now, Grey’s Anatomy actor Jesse Williams has been pushing limits in the entertainment industry, bringing all of his passion into the mix, including acting, directing, producing, activism and modelling. His career in the entertainment franchise started in the mid-2000s and he continues to make it abundantly obvious that he is going to hold on to this fame for long. He is well-known for his roles in The Cabin in the Woods, Butler and of course, Grey’s Anatomy where he starred a Dr. Jackson Avery. Jesse Williams’ birthplace is Chicago, Illinois and he was born on August 5, 1981. His mother, Johanna Chase has Swedish background while his father Reginald Williams is an African American who has some Seminole descent. He obtained his early education from Moses Brown School in Rhode Island and finished his studies there in 1998. He proceeded to Temple University and completed dual degree requirements in both Film and Media Arts, and African American studies. Having obtained his degrees, he joined The Philadelphia Public School System and taught English, African Studies, and American studies in a high school for six years. Jesse Williams comes from a multi-racial background and has two brothers. The actor appears to be the only one in his household who is willing to attain a superstar status. His two brothers are very keen on painting, designing, and everything else relating to visual arts. The actor’s parents are also not about films. They each took up jobs of teaching in high schools immediately after Jesse’s graduation from the university and even after he started a career in the industry, the duo hasn’t demonstrated any eagerness to venture into the field. Away from teaching, Jesse’s mother makes ceramic wares professionally and this had been her basic career prior to her teaching stint. Jesse made his first TV appearance in 2006, starring as Kwame in one episode of Law & Order. His roles in ABC Family show Greek and TV series Beyond The Break around the same time were also memorable. In 2008, he was celebrated worldwide after landing his first major role as Holden McCrea in the horror film The Cabin In The Wood. By 2009, the talented star became a household name for his role in the TV series Grey’s Anatomy. Before he started frequenting TV, Jesse had engaged in some theatre performances such as The American Dream revival production in 1996 and in The Sandbox. Nearly four years later, The Cabin In The Wood was finally released and it quickly established itself as one of the beloved films at the time. The success of the movie caused more audiences to discover Jesse’s talent and since then, TV and film appearances became much easier for him with roles in the film Money, The Butler, Sesame Street and a couple of others. It is also a well-known fact that the actor played an active part in the innovative documentary film Stay Woke: The Black Lives Matter Movement as the executive producer. The multi-talented star has also tried out several other engagements and recently allowed Markus in PlayStation 4 game Detroit: Become Human use his voice. He also did motion capture in the game. As a model, Williams has worked for big designers and retail companies like Tommy Hilfiger Corporation, Kenneth Cole Productions, and L.L. Bean. He had also spent a short time working for Lane Bryant. Jesse Williams has equally given music a chance, making appearances on different record-breaking music videos such as “the Russian Roulette” video by R&B singer Rihanna. Just recently, he featured on the Demi Lovato video “Tell Me You Love”. He was also in the music video “Fall In Love” by the English singer and songwriter Estelle. Other than his film endeavours, Williams also works for the community and has been in the spotlight for his activism. He is a leading member of the board of directors at the civil right group “The Advancement Project” and is the youngest in the team. He is also the executive producer of a pioneering project known as Question Bridge: Black Males, which tends to promote the redefinition of black male identity. His stand-out roles in the black movement as well as the promotion of civil rights have won him a humanitarian BET Awards in 2016. 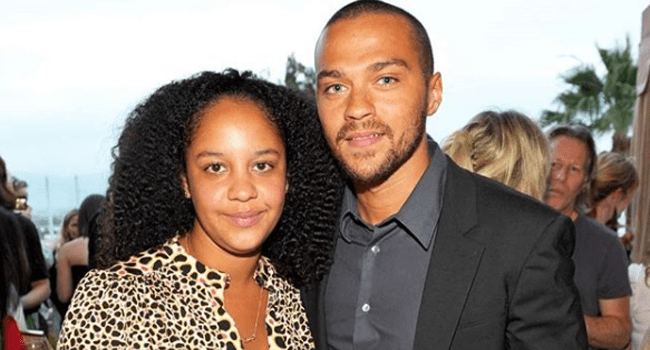 Jesse Williams is the father of two children Sadie and Maceo. The actor married his longtime girlfriend and the mother of his kids Aryn Drake-lee, a real estate broker in 2012. Everything appeared to be blissful between the two until 2017 when the news of their separation made it to the public. Their split finally became official in 2018. Both the Butler star and his ex-lover were granted access to their children. Jesse Williams was also given rights to overnight stay with his kids. There have been countless speculations concerning Jesse’s personal life since the breakdown of the actor’s marriage. Most of them claim that different women have gained swift entrance to his heart. While others seem not so sure who has won his heart yet, the first to be linked to the nice-looking star was Minka Kelly but the notion immediately changed after he was seen with sports reporter Taylor Rooks. Also, his ex-wife publicly claimed that he went against the custody agreement by introducing their kids to his new girlfriend named Ciarra Pardo. With many women already in the picture, nobody is certain about who Jesse is really dating now. Perhaps he is enjoying the best time of his life and tasting different waters.